Squonking is one of the biggest trends to hit the vaping community – and yet, there’s still a considerable amount of mystery surrounding this popular vape style. For many vapers, both new and advanced, “squonking” is a vape term they may have heard in passing, but never actually experienced for themselves. You may have come across cautionary tales while Internet searching for answers to questions like “what is squonking” and “is squonking safe,” or might have even heard about less-than-stellar squonk experiences from a fellow vaper. On the other hand, you’ve probably heard talk about the potential to take your vape experience to the next level with squonking – so what’s the deal with it, really? Squonking can be a fun, highly enjoyable way to change up your daily vape – as long as you take the time to learn how to do it correctly. Here’s a detailed guide to everything you need to know about squonking, so you can be sure to have the best possible experience right out of the gate. 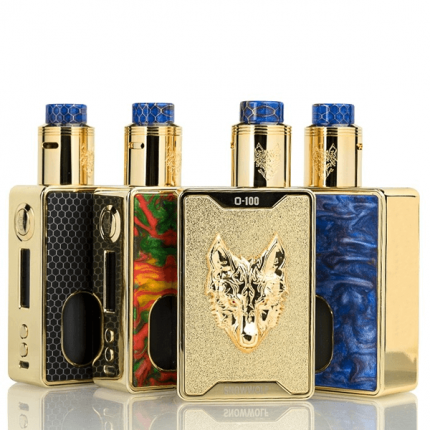 The SnowWolf O-100 100W Squonk Vape Starter Kit- one of our bestsellers. Squonking is a certain type of vaping method, using a unique vape device called a squonk mod or squonker. This specific style of mod is designed to allow the vaper to completely control the flow of e-liquid, making use of a bottom-feed design and built-in e-juice bottle. When you’re using a squonk mod, you’ll be manually pumping the e-liquid through the atomizer, where it will come into contact with the coils and wicks. In theory, it combines the best elements of the old-school dripping method with the modern conveniences of a typical mod set-up. One of the major benefits of squonking is the intensified flavor experience, with most vapers swearing by this method for seriously tasty vapor clouds. Even though squonking requires a bit more effort than traditional vaping, most squonk loyalists insist that it’s worth it for the flavor quality alone. Compared to dripping, another vape method known for flavor, squonking is pretty simple. Instead of having to manually drip your e-juice on the wick, you can free up your hand with the attached e-liquid bottle. Plus, you’ll gain considerable vape time thanks to increased e-juice capacity. Dripping usually requires regular refilling, but squonk mods provide better capacity than even some standard mod options. The Vandy Vape Pulse BF Squonk Vape MOD by Tony B. As you’ve read, many former drippers make the switch to squonking because of its convenience and efficiency. 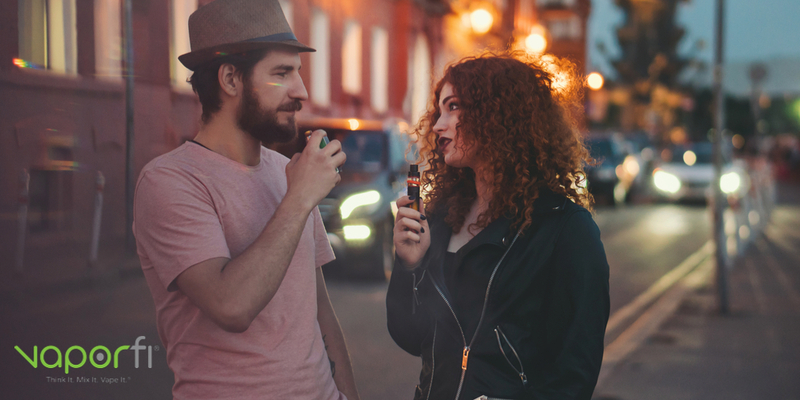 A few key differences between the two methods put them on opposite ends of the vape spectrum – each provides a high-quality experience, just in contrasting ways. When you drip, you’ll use an e-liquid bottle to manually place drops of juice onto a cotton wick to saturate it. The mod heats the wick, which then vaporizes your vape juice of choice. You’ll enjoy a few puffs, then will need to drip more liquid onto the wick. You’ll repeat this cycle until you’ve wrapped up your vape session for the time being. When it comes to squonking, the basic idea is the same, but the key difference comes in the process for saturating the wick. Instead of manually dripping the vape juice from a bottle, you’ll use an internal juice reservoir that’s a part of your squonk mod. Just a quick squeeze of the attached bottle deposits the juice on the wick, saving time and effort across the board. What Do You Need to Get into Squonking? It’s important to set yourself up for squonking success with the right equipment. You’ll need a specially-designed squonk mod as well as a squonk atomizer or bottom-feed atomizer. It’s up to you to choose an RTA or RDA, but the squonk (or BF) pin is a critical element. 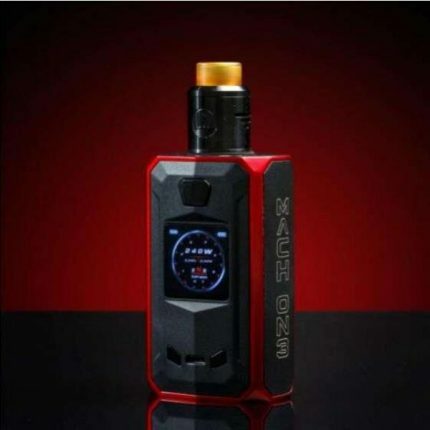 The USV MACH ON3 240W TC Squonk Vape Starter Kit. Squonking is surprisingly straightforward, despite what you may have heard. You simply squeeze the squonk mod’s juice bottle at regular intervals, all while vaping as normal. The dangers associated with squonking are actually connected to unregulated mods, which used to be the only option out there. All unregulated mods (squonking or not) carry an element of risk, because user error can easily lead to trouble. Luckily, plenty of trusted vape brands are now making great-quality squonk mods that provide a safe, enjoyable experience. We’re willing to bet that if squonking has grabbed your attention, you’re a vaper who’s interested in taking your vape experience to the next level. 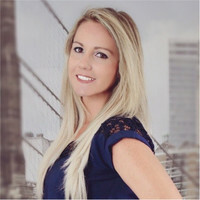 At VaporFi, our goal has always been to provide vapers with exactly what they need to create their ideal vape experience, whether that means squonking, dripping, or somewhere in between. We carry top-quality products from the vape brands you know and love, as well as a wide variety of VaporFi originals made with the highest standard of care. Ready to make the leap to squonking? Check out the great options for premium squonk mods from VaporFi today! The VaporFi Volt: What Sub Ohm Dreams Begin With! Why is My Box Mod Auto Firing? Why is My Vape Saying “No Atomizer” or “Check Atomizer”?